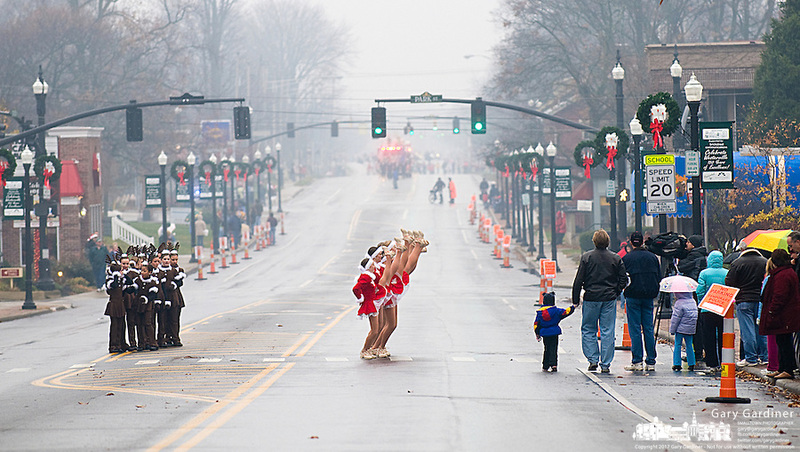 Dance teams perform in front of City Hall in Westerville, Ohio, before the annual Christmas parade arrives during a wet, rainy parade. Photo Copyright Gary Gardiner. Not for reproduction without written permission.